When we spiritually awaken, we feel a need to change. When in fact we have already changed, just by awakening. We feel a new-found respect for where we are as a people and a planet. Whereas, most that are still asleep are still within their own reality; primarily concerned with their own lives. Why is this so? When we awaken, we realize that there is no separation at all. We are ALL, truly one. And we increase in compassion, for we can easily see how those that are still unawakened view the reality; as an experience in separation. And we can empathize, for we have been there too. And yet, we can never go back into the “illusion” of separation once we’ve awakened. We have been going through a process of awakening. And as we awaken, we realize that many of us have been viewing the creation as less than perfect. And as the process of awakening proceeds further, we eventually get to the knowing that the whole of creation is, actually, perfect. What man has brought forth through learning/remembering mastery of creation has been brought forth through limitation and lack. However, the true reality is not that way. The true reality is by far, grander than we have realized. And abundance is the true reality of Creation. We have been told from the Ascended Masters, to various other Guides that the true reality is one in which miracles are the norm. And the Divine flow of positive energies is a given. Benevolence is the order of the true reality. And yet, many of us sit here wondering what reality they are speaking of? Since our reality seems to be one of “less than” or dysfunction. While we transition from our 4D reality into 5D, we are simultaneously migrating from living strictly in our “heads” to living directly from our hearts. We have been predominantly functioning from our brain, when we were designed to live from our heart. The difference is that the mind interprets the reality through the lower-ego structure which actually helps to keep us in 3D consciousness. Our connection from our Higher Self is from within the heart, not the head. Although the pineal gland does give us perception through our connection to the higher realms, the actual direction and permission to use these higher functions stems from our Higher Self, which is directly in the heart as a Soul function. This is multidimensional consciousness. This is 5D consciousness. This is the aspect of ourselves that is in commune with our galactic family. And has our Akash of our sojourns in these realms. From our other now moments. When we realize that it is impossible for us to not be creating, we can focus more on what we truly desire to create. And when we create from our state of joy, our lives are harmonious and we live more in the now. This is 5D consciousness in action. Living in joy, abundance and being in the now is the harmony we all seek. However, when we choose to live in 3D consciousness the experience is one of separation, and limitation. And mind you, that the “separation” and “limitation” are merely illusions. And we are the only one that puts these illusions to use, or not. For in the 3D reality, “reflection” and “law of attraction” are the universal laws. This is the schooling while in and on 3D Earth. To have all that we feel and think being reflected back to us. And by bringing in all that we attract into our reality. This is how we realize all that we create. 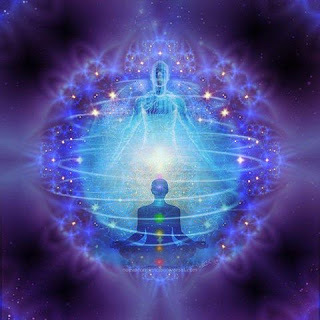 We have been receiving messages from Kryon and many others of how we are bringing into being more of our Akash, that is for our benefit at this time. Since we all have been around much longer than we realize, we are bringing forth more of our Divinity and more of our “true” self, the Inner Guru. While we were in the 3D matrix, we were always struggling to keep in harmony and in the Divine Flow. For, within our chosen 3D experience; duality was a big factor. And the “older” 3D energies, did seem to favor disharmony and discord. And yet, we are way beyond that. 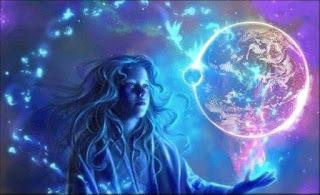 We are well entrenched in the 4th dimensional energies, and bringing in more of the 5th as well. Which means we may choose to live beyond that 3D paradigm. When we live our lives, many times we get caught up in all that we have ben through. And then society, tells us that due to our circumstances we are victims to what has occurred. So, we seek help with our “issues” and we are told that we must “heal” our “inner child” and then we will be more focused on our “true” self. So, we believe we are receiving guidance and we take the information to heart. We begin our “therapy” and we begin the “healing.” While, we are “resolving” our “issues” we are reliving what we went through again, in order to “heal” it. Then we go through therapies that allow us to chose the proper outcome, or “change” the experience to a more harmonious outcome.